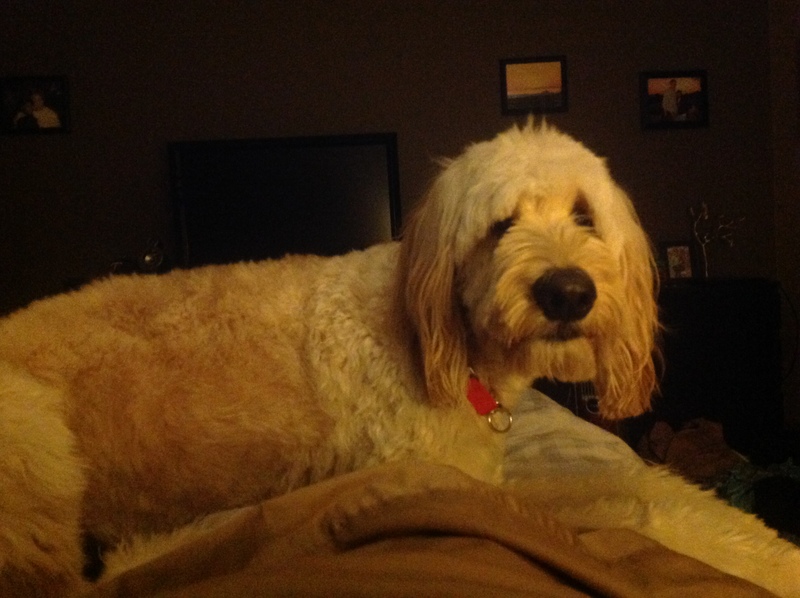 Sir Arie Holiday Haircut – Go Blondie! Arie was way overdue to go to the groomers. I felt bad because he had some knots in his coat and he could not see because his bangs were so long. I was afraid I was going to get charged for every knot and then for being a bad mommy. Well, luckily that wasn’t the case, I still felt horrible. Our groomer is amazing, I have been extremely happy every time I take Arie there. He practically runs through the door to get there. They are kind and you can really tell they love each animal that comes to their place. Arie had to get cleaned up because it is the season to travel and see family. I decided on cutting him shorter because of the “wonderful” experience (hint-sarcasm) with snow balls on his legs last winter, I don’t think I want to put him through that again or myself for that fact. Here is a few pictures of Arie, sorry they are off of a cell phone and iPad. 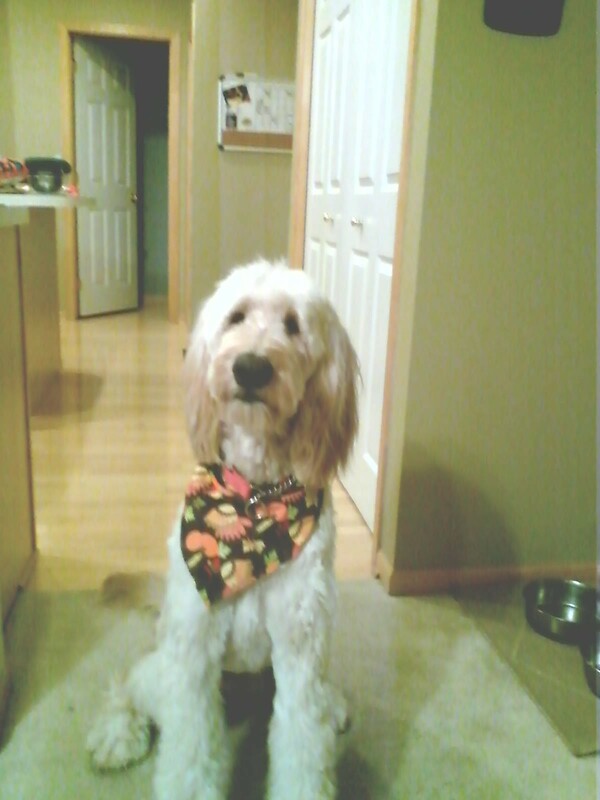 I love Arie’s Thanksgiving bandana. Arie getting ready for bed.